Roy Hodgson refuses to guarantee that Wilfried Zaha will remain a Crystal Palace player by the end of the January transfer window. Manchester City, Chelsea and Arsenal are reportedly in competition to sign a player valued at £40million and who has been influential in the Eagles' recent climb out of the Premier League relegation zone. 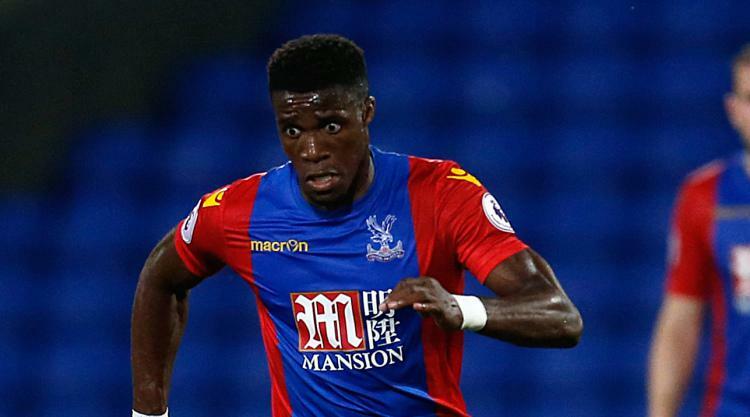 Hodgson gave Zaha his international debut in 2012 when England coach and understands the interest in the 25-year-old winger, but hopes he will stay at Selhurst Park. "I don't think that as a manager you can ever give guarantees on anything," Palace boss Hodgson said. "It's a great credit to the club and Will Zaha that if there are rumours circulating that there are so called bigger clubs looking at him and maybe thinking of making a bid, we should be pleased about that because it means he's playing well. "That's the way we are looking at it and if the day comes that when one of those rumours becomes the truth and there's a concrete situation, I will come to terms with it at that moment in time. "If you ask if I want him to stay, then like the rest of Crystal Palace supporters of course I do. I'm happy to let the rumours abound. "He's helping us win games and I've no doubt that will continue until the day when he can no longer do it for us. Like most Crystal Palace fans, I hope that's a long way off." Hodgson has revealed that Jason Puncheon is available for Saturday's trip to managerless Swansea despite his arrest over the weekend. The club captain has been charged with causing fear or provocation of violence, possession of an offensive weapon and common assault after a fight erupted in the street during a night out in Reigate. "At the moment he remains club captain and remains available for selection," Hodgson said. "The club is intending to wait until the police investigation is completed and when we are in full control of the facts of the situation. "When that happens and it's made clear to us what the police know and he's had his trial, we'll then decide what action is necessary to take. "In the meantime we are presuming his innocence until he's proven guilty of any crime. "I am (satisfied that he's in the right frame of mind to play). We had a long conversation which will remain private, and he had a similar conversation with the chairman. "Jason has made it clear to me that he's determined to be available and do the very best job he can as captain and player at the club while this matter is being sorted out."